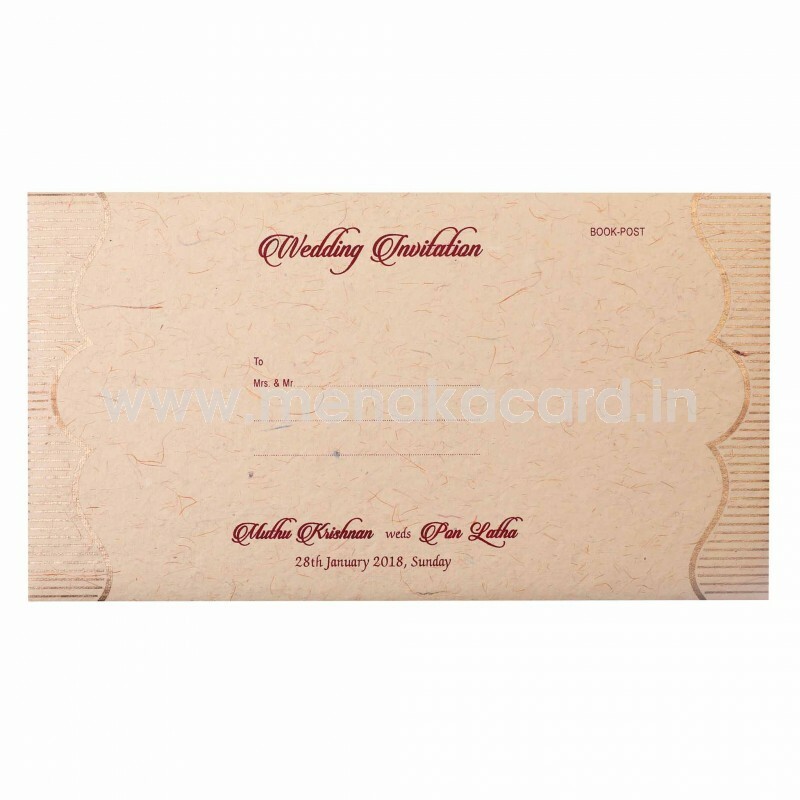 This semi-traditional cream and maroon door folding card is made from a handmade material. 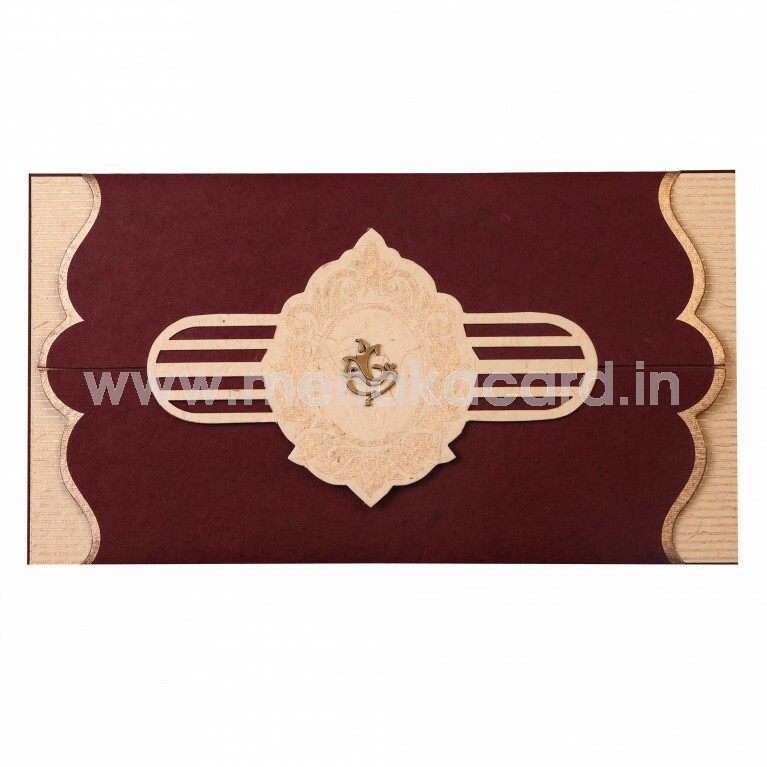 The centre of the card holds a beautiful cream frame that houses a delicate Ganesha sticker at the centre, attached to the main flap that acts as the opening. 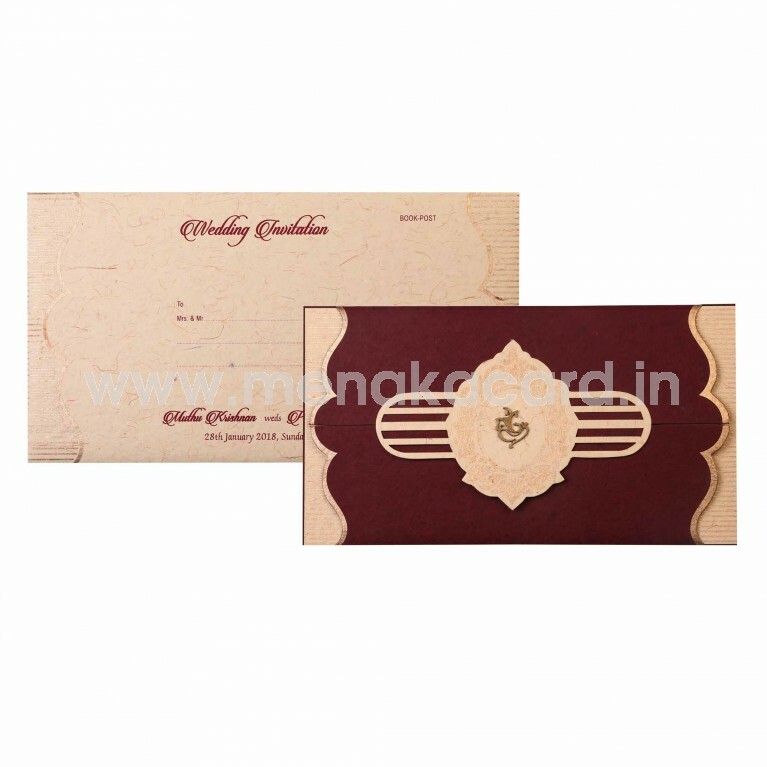 the inserts of the card are also made from the cream handmade material and are printed with contrasting text. This can be used for Hindu weddings, engagements, receptions, house warmings, sadabishekams, upanayanam etc.